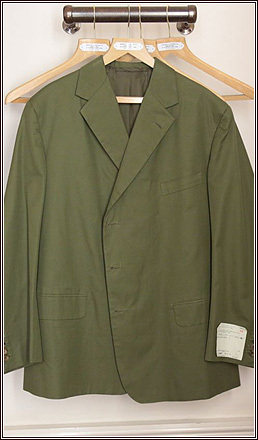 A single-breasted khaki cotton jacket, three button. 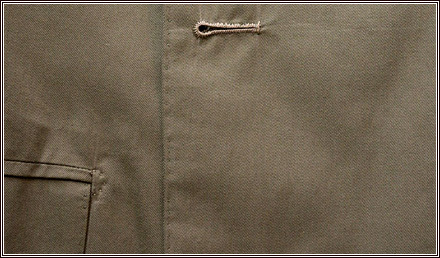 The work around the front edge and buttonholes is particularly nice, hence the close-ups. 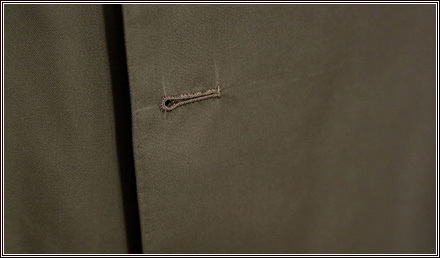 You can see the chalk marks where they have been marked out as well.